Mitsubishi Hitachi Power Systems (MHPS) has been invited to conduct an advanced technology seminar in Kuwait, encouraging the use of natural gas. The seminar is in line with the goals of the New Kuwait 2035 economic diversification mandate that aims to diversify the Arab country’s economy away from oil revenues and highlights the use of gas turbine combined cycle power generation systems. 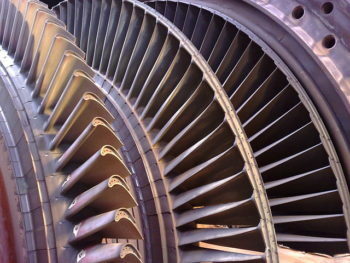 MHPS’s gas turbines systems are claimed to provide low-cost energy with reduced emissions. Speaking at the event, Mohammad Boshehri, undersecretary at Kuwait’s Ministry of Electricity and Water (Mew), said: “We want to develop an energy landscape that shows the world power beyond carbon – clean power built to last. “We are ambitious here in Kuwait, and we want to lead the region, and the world, in creating the most advanced, reliable, diversified, and sustainable energy sector on the planet,” the Mew official added. According to Akimasa Muyama, senior executive vice president at MHPS, Kuwait’s electric power sector is currently in the midst of transformation, and replacing oil-fired plants with natural gas or renewable energy will further help the country meet its goals of eliminating carbon emissions. In April 2019, MHPS was picked alongside Egypt Stock Exchange-listed Elsewedy Electric to deliver engineering, procurement, and construction works worth $550m for Sharjah Electricity and Water Authority. Jointly, the Japanese and Egyptian companies will build a 1,026-megawatt (MW) gas turbine combined cycle power plant in Sharjah’s Al Layyah area.